Stephen was back at the helm today after a slightly stressful week of recruiting volunteers to enable today's event to go ahead. 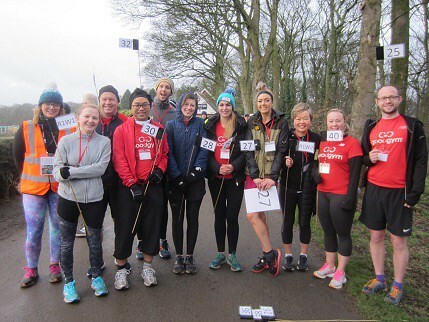 There were extra emails and posts out to our regular volunteers, Steel City Striders, Strideout and GoodGym. Thanks to everyone who stepped forward, we literally cannot hold the event without your help! 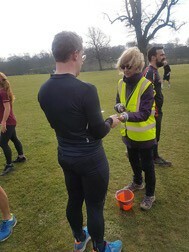 If you don't already volunteer, please consider giving it a go, you can read more about it here: https://www.parkrun.org.uk/graves/volunteer/ and you can sign up to the volunteer emails following the "manage my profile" link in your results email. 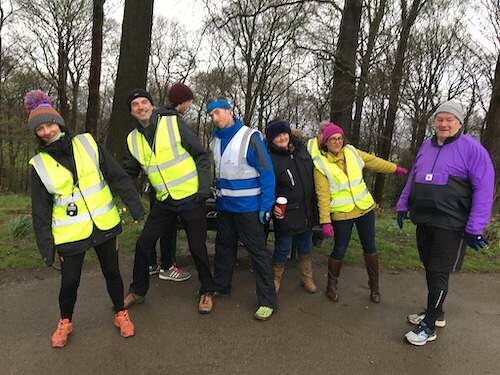 For a parkrun of our size, and the minimum number of volunteer roles that are need to be in place during the run, if everyone volunteered just 3 times a year, and ran every other week, we would be totally self-sufficient. We also needed to remind everyone about our dog policy at Graves, supporting participants with dogs is at the discretion of each event and following several incidents last year we have had to state that we we only support participants with a dog on a short hand held lead, not a belt anchored lead. This is entirely for safety reasons and we love to see people taking part with their dog provided this is adhered to. 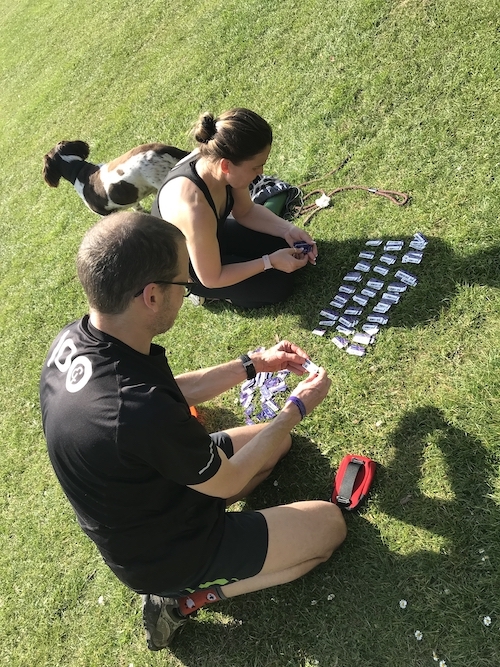 After the briefing though we were able to enjoy a glorious day at Graves for the event that even saw the post run token sorting being done outside! 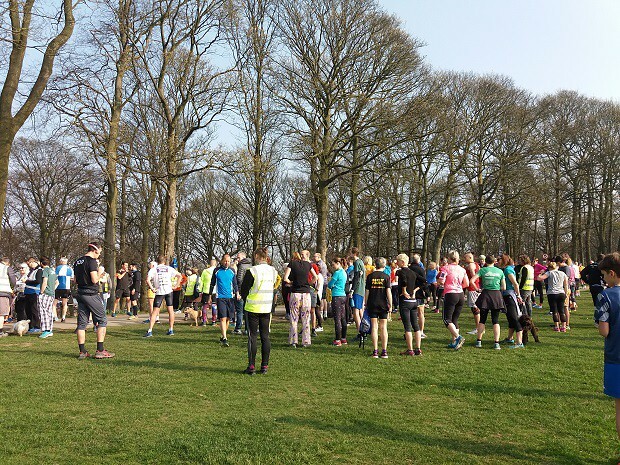 There were 17 new to parkrun parkrunners today, what a day for your first event! We look forward to seeing you again soon. A further 34 people were visiting Graves for the first time. The Johnson family were visiting Graves today, all in matching 250 Club Shirts. There were 3 Milestone this week, Liz and Kirk SMITH both joined the 50 Club. Marek SZABLEWSKI joined the 250 Club!!! Congratulations from everyone at Graves. There were 39 PB’s this morning. Well done everyone! 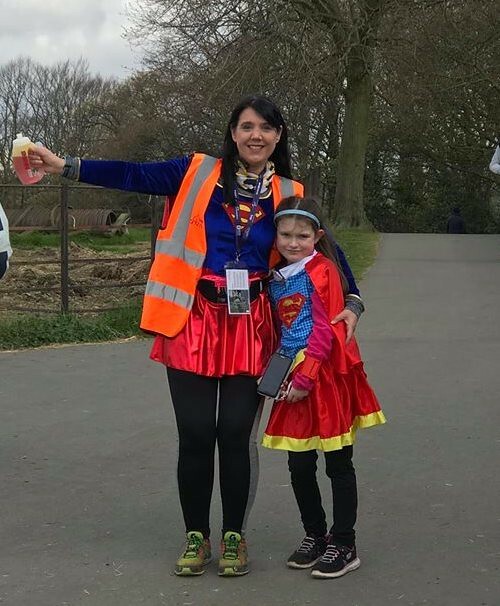 This week’s parkrun was our 7thbirthday at Graves… so to celebrate we did fancy dress, cakes and a pre run briefing in French until our run director ran out of French words and went back to English. This didn’t take that long!! 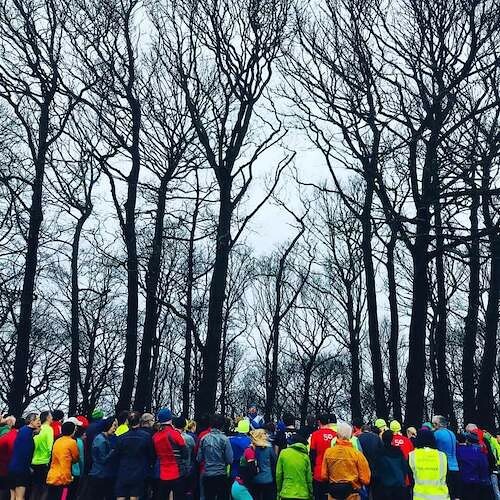 In addition to costumes and cakes, to really mix things up we also decided this week the 332 of you that turned up to run, jog or walk could do the course backwards. Never ever a dull moment up here at Graves. 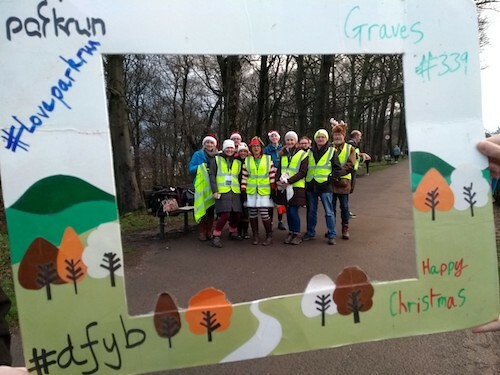 Join us again next week for more parkrunning fun, and if you haven’t already consider volunteering please do.It’s easy to volunteer, just leave a message on the Graves parkrun Facebook page or e-mail the Graves team on: graveshelpers@parkrun.com or see our volunteer page for details on getting involved in making Graves parkrun happen. A slightly quieter Graves parkrun this week, possibly due to some local races the next day. Well done anyone who raced! 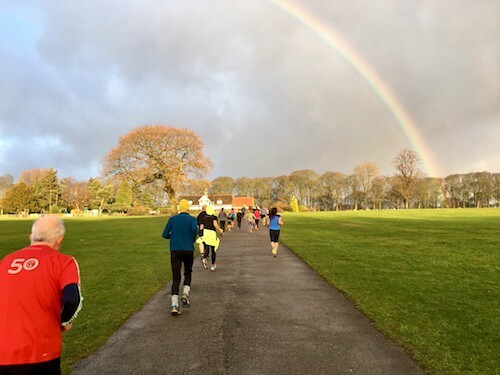 It was a bit cloudy and cold this week but there were 233 people starting their weekend with endorphins. 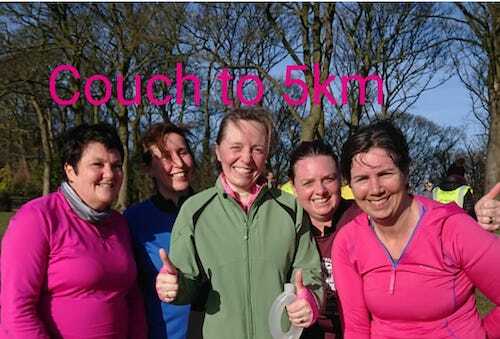 There were 24 first timers this week, 4 of these were doing their first ever parkrun. Well done to you, see you next week! 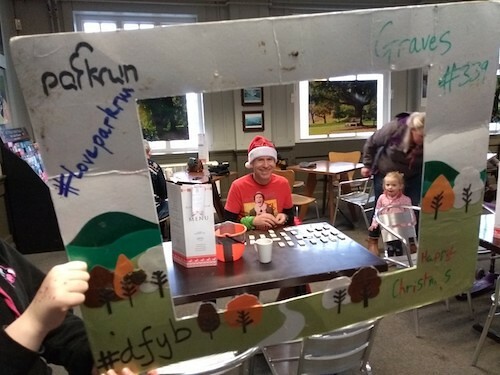 We also had 20 people visiting Graves parkrun for the first time with our furthest tourist being from Brisbane! Welcome all! 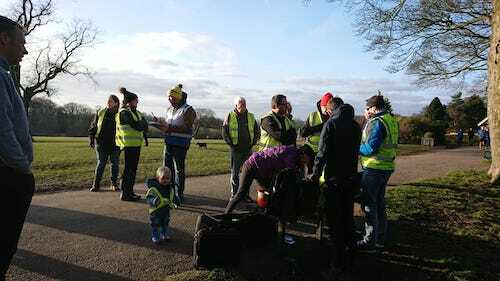 There were also a fair few more Totley vests around this week as they took part in their annual parkrun championship. Well done all, lovely to see you at Graves. Roger was in charge this week. 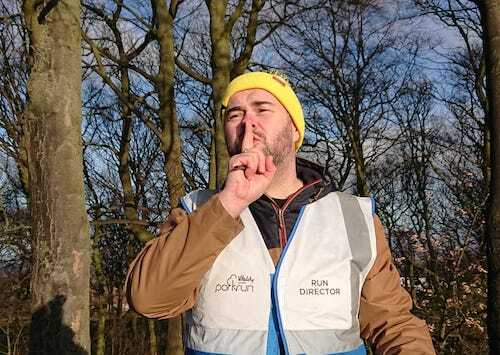 He asked for a show of hands for the Sheffield Half marathon next week – there were a fair few and unsurprisingly the roster is already looking pretty good so RD Gav should have an easy job this week! Roger gave a bit of a plug for volunteering too claiming it give you all the benefits without the hot and sweaty bit! I can confirm that this is true. Yes that’s right folks, Graves parkrun is 7 years old! Our anniversary run is this coming weekend 13th April. ED Jo has requested fancy dress with the theme of 7 – use that as you wish! We have also been concocting a way of running the new route in reverse! Listen carefully to briefing next weekend for directions! There was a moment of mild run directing panic this week as one of our brand spanking new tokens went missing! Luckily, we were soon made aware of its whereabouts and instructions given for its safe return – phew! Remember not to be a token magpie folks! We had two 50th runs this week. There were 27 PBs this week. Well done all! Roger reminded us all that while we should be over the worst of the wintery weather, cancellations are still possible in windy conditions because of the new route. Please check our facebook site for the most up to date news. 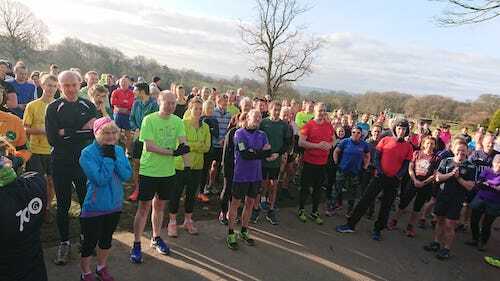 A beautiful sunny morning welcomed 299 parkrunners to Graves parkrun number 351, including a few wearing pyjamas for the parkrun in pyjamas Millbrook beds annual competition. 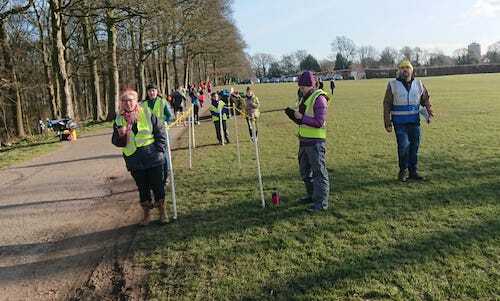 Run Director Green was at helm today efficiently organising the volunteers and then ensuring all parkrunners were in their correct pre-starting positions before the briefing started (over 30mins to the left; under 30 mins to the right!). 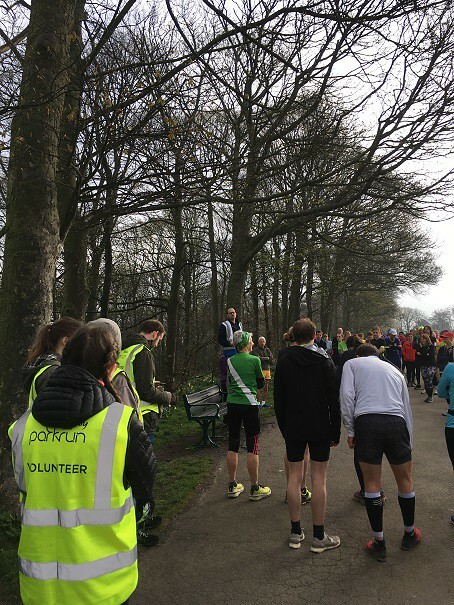 After a jump to the left and a step to the right and parkrunners were assembled….. the volunteers were thanked with a round of applause, first timers were welcomed and we had tourists from Dalby Forest, Nottingham and Norfolk. 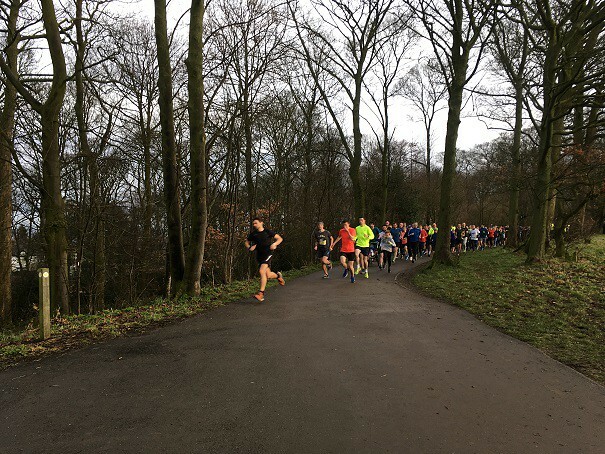 Welcome to Graves parkrun and we hope you enjoyed the Sheffield Hills. Please come back and visit us soon. A shout out and round of applause for the milestones, including Tom Valentine who was due to be doing his 200th run but was announced as being in bed! However the highlight of the briefing was the announcement of new finish tokens, as modelled here by Green. And the perfect photo opportunity for a caption competition! What is Jo thinking?! and here is our massive list of PBs (including our first timers) today. Well done everyone! 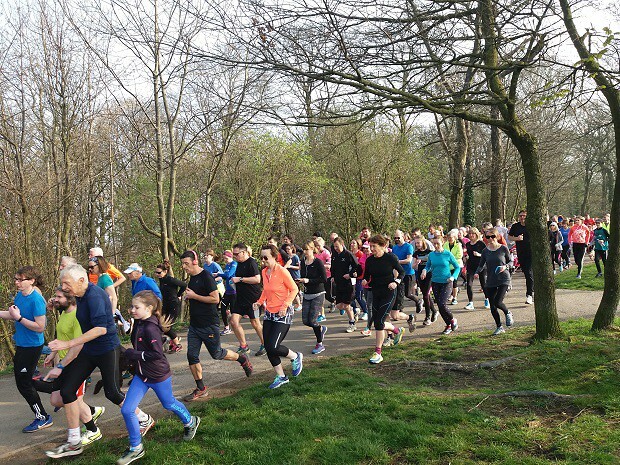 Thank you to everyone who made Graves parkrun possible today. So, last week at Graves we expected sunshine and we got mist. 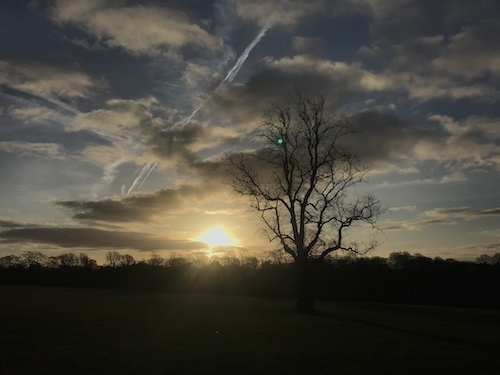 This week, as specifically requested in last weeks’ run report we may have started off with cloud, but by 9.30 there was definitely sunshine. So the 337 people who ran, jogged and walked the course got to enjoy it. Lucky us. Each week at Graves we welcome visitors from all over the country, and this week we had a visiting trainee run director from Munich, Nathan Adams, son of our regular park runner and Olympian (1976) Brian Adams. A special mention goes to Dan Murphy for his 250thVolunteer. Well done Dan, really inspirational. He took the opportunity to run through some parkrun reminders about funnel ducking and token etiquette, pointing out that is aimed at getting you as accurate a result as we can and as quickly as possible. Despite this, we still had 14 unknowns and a finish token go missing (it has since been tracked down) this week. We also had a quick pause in proceedings to welcome Iris Elsie to the Graves parkrun family and send a congratulations video to RD Cat. 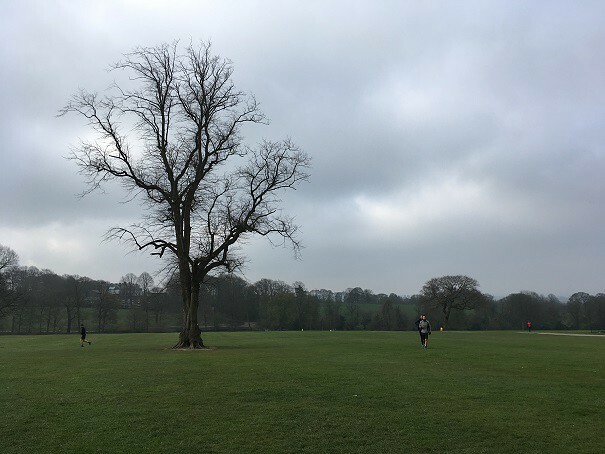 There were 16 new to parkrun parkrunners today, we hope you enjoyed your first event and look forward to seeing you again soon. A further 22 people were visiting Graves for the first time. 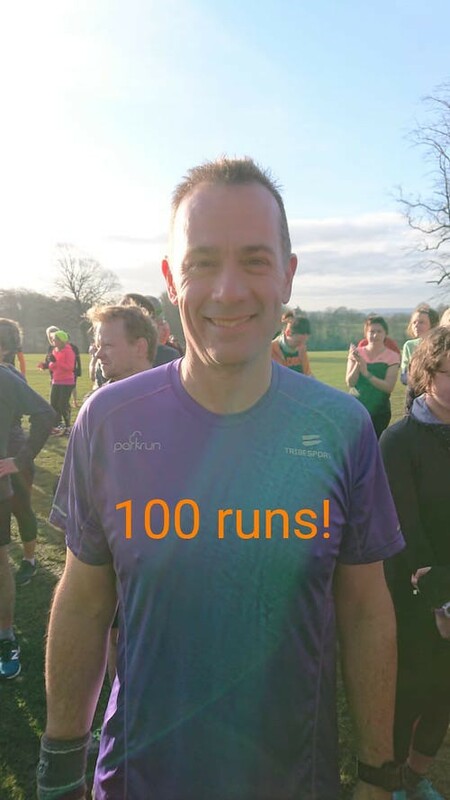 There were 2 Milestone this week, Elina HINE joining the Junior 10 Club and Mark Davis joining the 100 parkrun tshirts crew! Congratulations from everyone at Graves. There were 47 PB’s this morning. Well done everyone! 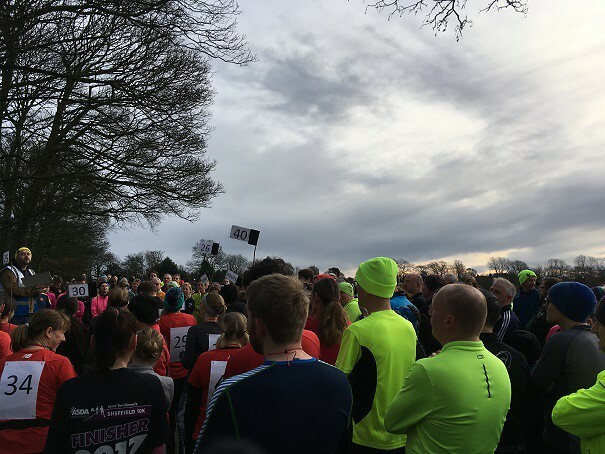 Another busy Saturday for Graves this week with another top turnout of 327 people raring to run, jog, walk their way around Graves park. It was a mild morning but with the traditional Graves micro-climate of being 5 degrees colder than anywhere else…! 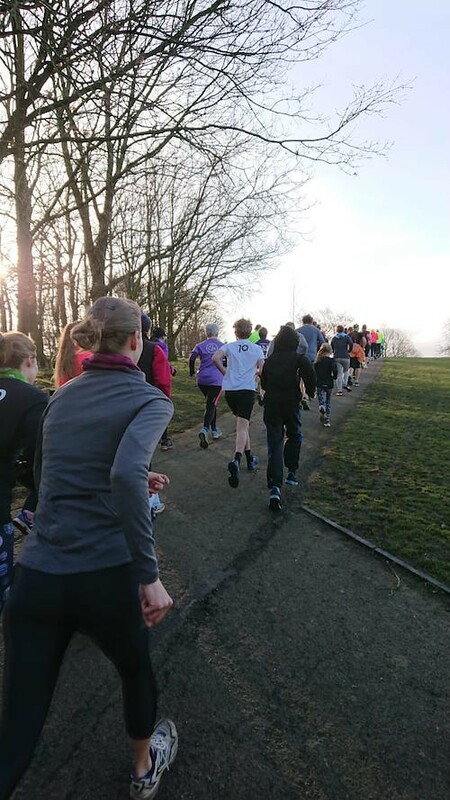 There were 38 first timers this week, 10 of these were doing their first ever parkrun. Well done to you all. 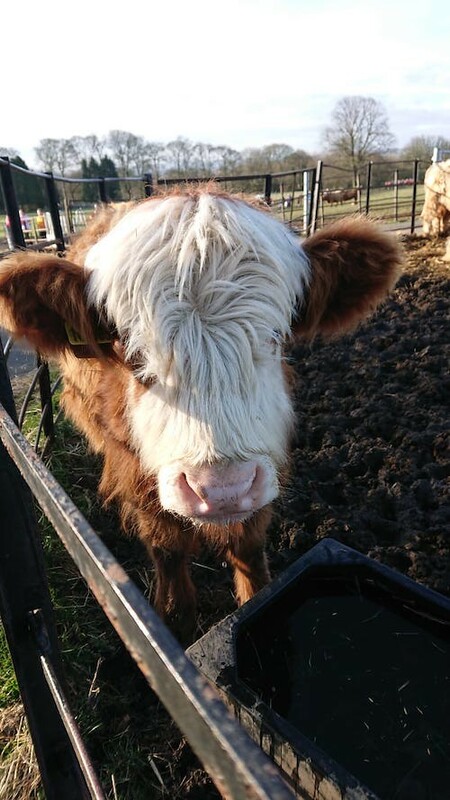 We had 28 people visiting Graves parkrun for the first time and quite a few cow cowls on view! Come back soon! Stephen was RD for his second time this week and had organised for the Sheffield Goodgymers to hold a pacing event. There were pacers from 24 minutes to 40 minutes and also included some run / walk pacers. There was some really positive feedback from this event, plenty of people enjoying the inclusivity and a few PBs as a result. There have been requests for repeat events so watch this space! There was a nice run of whooping and cheering for milestones this week. 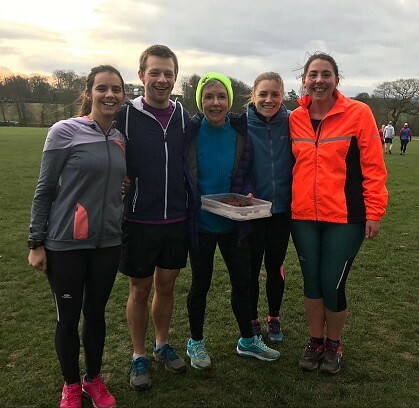 Congratulations to Emma MORGAN who ran her 10th parkrun; Robert ALLCROFT ran his 50th; Catherine SYKES ran her 100th and Leah EVANS ran her 250th parkrun! Congratulations to you all – fantastic achievements and thanks for the cakes! There were 42 PBs this week. I wonder just how many were as a result of a pacer?! Well done all! Keep your eye on the facebook page if there weather looks like it could be icey or snowy. We try to get a course inspection done by 8am if cancellation is a possibility. Marshalling in the new year! Happy New Year! And what a great event it was. 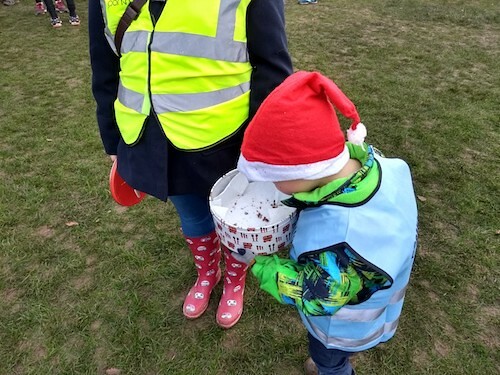 Me and my little family kicked 2019 off by helping to marshal a record breaking 396 runners around a dry and occasionally sunny Graves park. 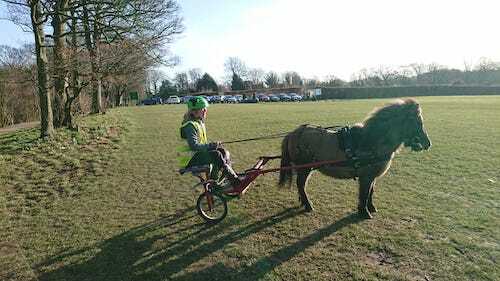 The dog and I ran to the park for Mind’s RED challenge, then took up our spot between the ponds, whilst my partner and the tiny tyrant got cow poo corner! You'll have noticed the enthusiastic dad jokes as you headed for the finish. I'm assured that Run Director Gav’s briefing had everyone chomping at the bit to get going. 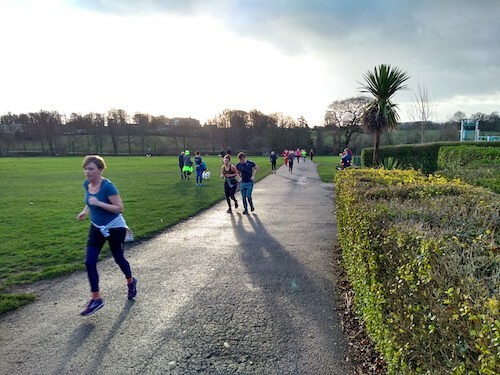 As the gags flew thick and fast participants trying to do the new year double Parkrun were pawing the ground and stamping with enthusiasm to get to Hillsborough and Poolsbrook. There was no need to worry as Poolsbrook’s Andy Morris came to run his 100th Graves at Graves but shot off to be the Run Director for his second event of the day. Local legend Roger Knightley was out on his 200th event. Emma Barker and Marie Hippey and Caz Kay were all celebrating their 100th run. We welcomed 9 first timers to Graves,hopefully see you all again soon. And well done to the 57 tourists. Finally, a massive shout to all the volunteers who filled the empty slots since Saturday. 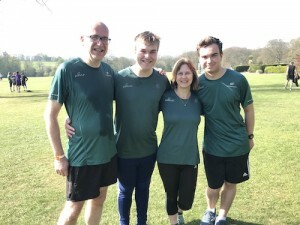 Without you all the event can't run...Parkrun HQ say that if everyone volunteered 3 times per year, nationally there would never be a deficit so please come and take part in both sides of the event. With the following people entering the funnel first. A real achievement. We also saw 39 people hitting a new PB. On a personal note, thank you to all of you who cheered, smiled and in one case sang to me on tuesday. It was great to see people skipping, jogging, running, walking, pushing, guiding, puffing in the new year. Everyone should be smug that they were out first thing in the morning to participate! Keep an eye on Facebook in case of last minute weather related cancellations and remember to dress for the conditions. 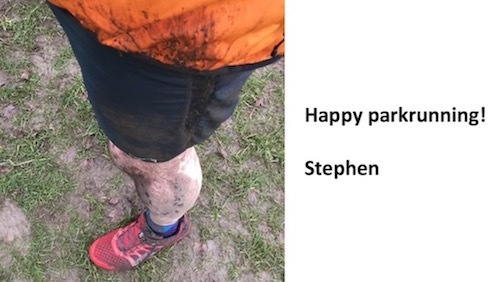 Over the last few years of parkrun tourism I have developed and revised a few key rules. This I have found to be a sure fire way to see if a parkrun is on. It has also helped me fulfil my New Year's Resolution I set at Colwich on 1st January and then expanded upon at Bedworth on 5th May – to try and write a run report for each new venue I visit this year. As I have been on tour since the beginning of 2016 and haven't yet repeated a venue it has meant 41 reports this year. By now I should be something of an expert at them... or at least have a bank of statements I could use but whilst parts are similar each report has to be different, just like the parkruns I visit each week. 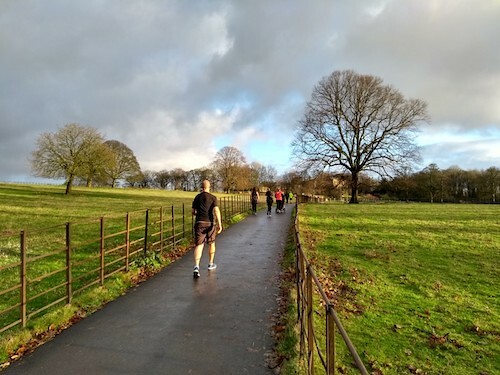 As each venue is the same – a free 5km timed run entirely run by volunteers – it is unique; trail / tarmac, in a park / not in a park!, city / rural. 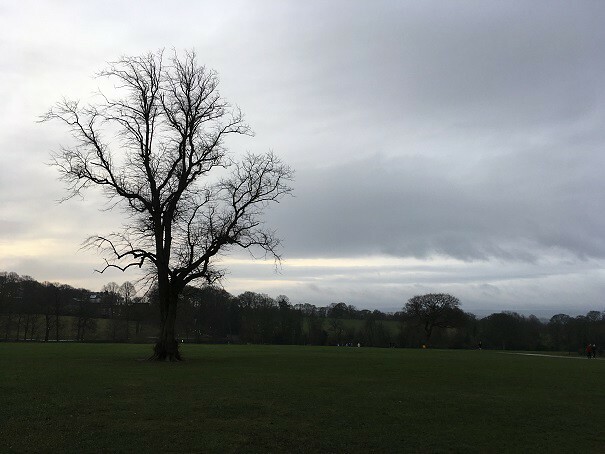 Yes, I know parkruns start at around 9am BUT after a dreadful experience of being unable to find the start of the parkrun before it started and then having to run after the tail for 15 minutes I am keen not to repeat that again! For ages my wife and daughter have commented that they could have had an extra 30minutes in bed (or longer!) My son has never made this complaint but that is because he was the one who had to play catch the tail runner as it was then! Programming the postcode into Google Maps we had a dream drive up the M42, A42, M1 & A61 - I doubt many over the Christmas period will be saying those words and at ten past 8 we arrived in Cobnar Road – with no sign of a carpark! STRESS! After parking up and zooming in on course maps and Google Maps – we headed off to Bunting Nook Car Park (S8 8JU) and still arrived on time to capture a picture of most of today's #HiVizHeroes in our homemade picture frame. 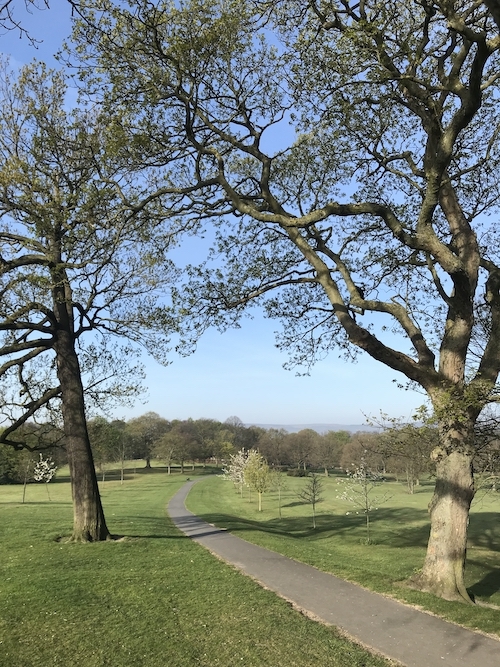 I could cover up this rule by saying that conditions can change and a dry field can become boggy – but the truth is I never read the course descriptions beforehand. Hilly or flat, 5 laps or one – it is always a surprise to me and the family. 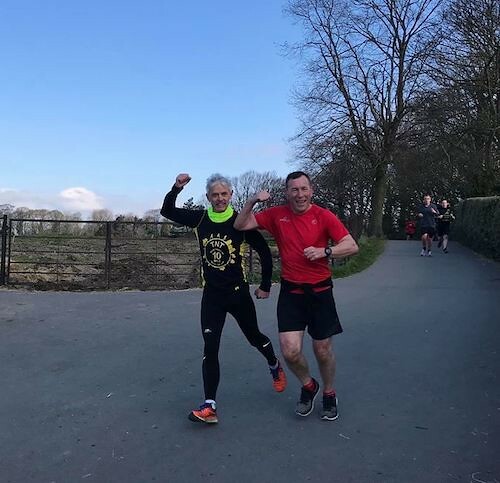 If I was as quick as Monday Night Club's, Bruno BECKETT (VM40-44) who stormed over the line as first finisher in a new PB of 17:53 this week – so a double well done - I would need to know where I am going but with lovely marshals on the course directing me and the pace I move, I do have lots of runners to follow! So normally a quick question of a regular or a marshal helps make the choice and as a completely tarmacked course road shoes were definitely the order of the day. 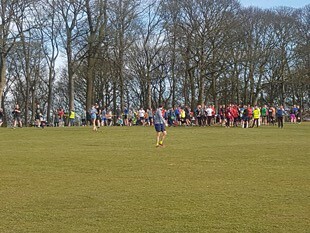 The number of laps is always easy to find out as there is always a first timers briefing for new parkrunners and tourists alike so listening carefully to Martin DOWNHAM today I discovered the second lap was shorter than the first and a marshal and signs were positioned read for the short cut! 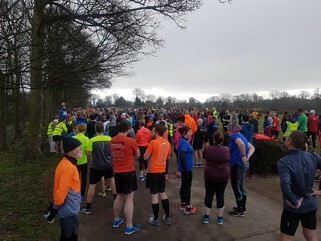 Whilst I have heard over 100 first timer briefings :- Scott HUKINS, Laurie NICHOLAS, Wes JACKLIN, Jessica BIRD, Daisy NICHOLAS, Grace NICHOLAS, Gregg DALE & Wendy GRAY all had their first as Graves become their first ever parkrun. So a huge welcome to them. 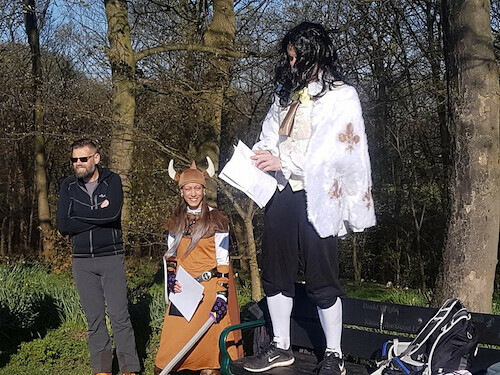 At the main run briefing the shout went out for tourists, despite driving from Coventry we were certainly pipped at the furthest travelled as although Hong Kong was mentioned... Daisy QUIGLEY ran her first Graves parkrun all the way from Cairns in Australia! 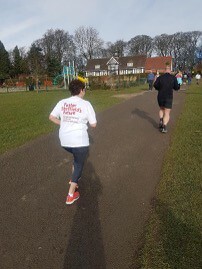 For the first time in a year, much to my great regret 1km into the run, I haven't worn my much prized milestone T-shirt, today Steel City Striders RC's, Rowena YATES ran her 100th parkrun so with holidays and disrupted deliveries hopefully she will soon be the proud wearer of her black 100 t-shirt very soon – currently you will just have to enjoy seeing the red 50 logo on the results being replaced by a black 100 icon. After the formalities were out the way the run started with the all too familiar beep of hundreds of GPS watches being pressed at the same time. And soon hundreds of festive parkrunners stormed off around the park. Thankfully many of them also in Christmas themed clothes as I had encouraged my family to all dress up as Elves – which seemed a great idea at 6:15am but soon after 9am I realised why cotton wasn't a great technical running fibre as I started to melt as I thudded up the first short steep slope. Before the loop back uphill from the park keeper's cottage I was blowing. I could barely manage a grunted thank you to the marshal and from each marshal after that it went downhill - mainly due to the uphills! – my grunts replaced with a signed thank you. My report writing started for this very reason as no matter how much I try and tell myself to take it easy and just enjoy a gentle run round I get caught up in the moment and my brain makes demands that my body just can't fulfil so I end up huffing and puffing round. Don't get me wrong; I still enjoy it – well maybe not at the time as it hurts – I just can't breathe, run and speak – something has to give. So writing the reports is my way of thanking the team of #HiVizHeroes – the volunteers that I fail to do during the run or afterwards. So I offer a huge THANK YOU to Amy ALLCARD, Julie ARMSTRONG, Magdalena BOO, Marnie BUTCHER, Keith BUTCHER, Andrew CALLAGHAN, Cath DAVIES, Martin DOWNHAM, Jo ECCLES, Sylvia ELLIS, Stephen GILMER, Everything's Run GREEN, Paul HIGGINBOTTOM, Jon HOWSON, Sarah HOWSON, Charlie LAST, Catherine NEEDHAM, William NEEDHAM, Gavin NEWHOUSE, Liz NICHOLAS, Neal PATES, Gillian RAY & Carol SPEIGHT for making this run possible today for myself and the 270 other runners. Heading up the hill towards the cattle and church a beautiful rainbow filled the darkening sky. And running round the second lake a light drizzle started. 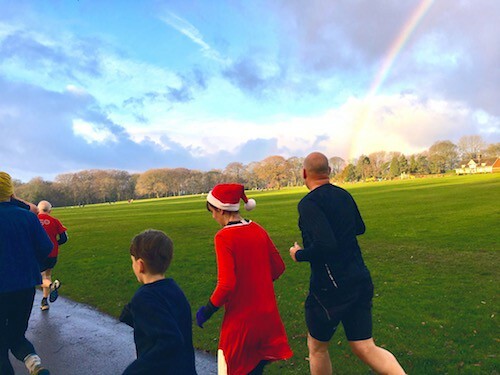 Many might have hated the idea or the rain but dressed in a full elf outfit the cooling drizzle felt amazing; however it was short lived and I had to try and power up the slope to finish the first lap holding up my rain and sweat soaked Elf trousers! Before taking on the shorter second lap. 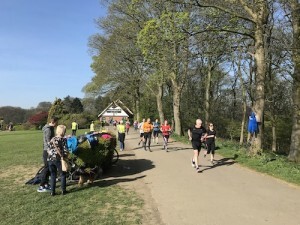 As I was taking a short walk break up the hill by the keeper's cottage at the far end of the park, Steel City Striders RC's Lucy BROOM (VW40-44) crossed the line in 23rd place in a time of 22:36 to be the first female finisher. Great running. Heading back up towards the church I decided to capture the glorious view and the rainbow, but alas by the time I had accidentally taken a couple of mid run elfies... it was no longer in sight but the finish funnel was! 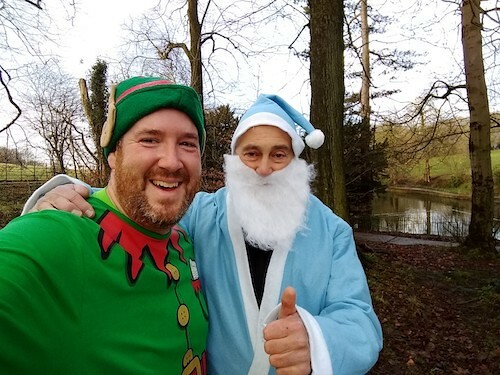 So with one last push and a much needed walk break halfway up the final hill I crossed the finish line and stood at the top of the hill waiting for the other three Coventry Elves to finish! As I waited a young marshal offered me the last slice of rocky road before carefully checking on the crumbs for quality purposes. 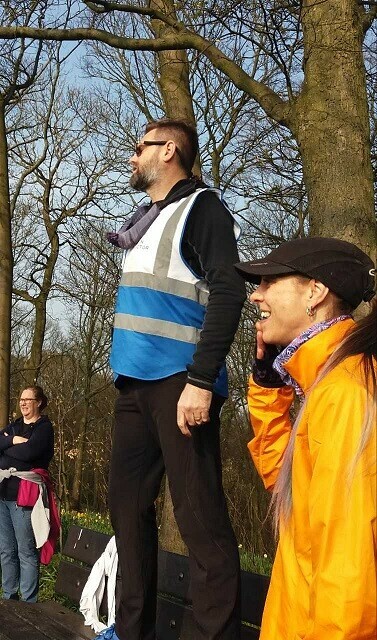 As a one-time tourist, I am not sure if Graves has a regular cake marshal but it is a role that I certainly would like to see at other parkruns I visit! After the whole family had completed the run the next (or for my son the important) part of our parkrun adventures happened - the café and what a treat – superb cakes and a great breakfast selection. The huffing, puffing and struggling around the last lap today forgotten so a full English Breakfast and a flap jack was washed down with a latte or two as the volunteer team sorted tokens and processed results. 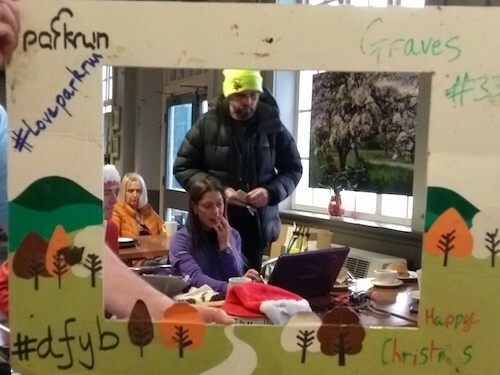 As with parkruns around the world Graves needs people to help each week to make it happen, so if you fancy giving scanning a go, being the time keeper, marshalling and encouraging others or are happy to help out in any role please send an e-mail - graveshelpers@parkrun.com You might even fancy writing a run report or taking some pictures of the runners. You will be shown what to do, it is lots of fun! My family and I had a lovely time at Graves this morning. Thank you for being so welcoming! 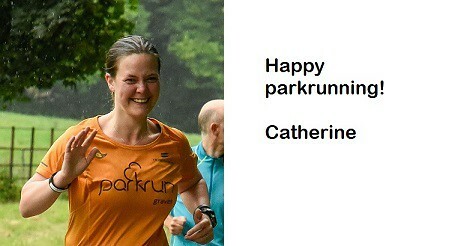 Merry Christmas and Happy parkrunning.